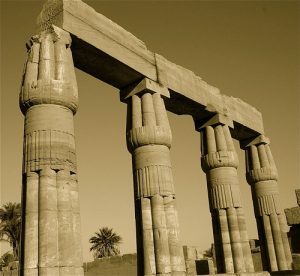 The Philosophy of Conscious Mastery® explores a true and intimate connection with Source. I refer to Source often as Mother/ Father God but it does not matter by what name you call this ultimate Divine Creator and power of Love. My book “Conscious Mastery~Freedom From the Inside Out” is a guide to understanding what holds us back from living a life filled with love, meaning and joy and how to change that. Conscious Mastery is mastering levels of consciousness. To master levels of consciousness one must practice what they know to be true. As an example: When you know something to be true such as, it is wise and healthy to remain calm during periods of chaos, we must practice remaining calm in the midst of chaos at every opportunity. You will know when you have mastered this level of consciousness because you will naturally remain calm in the midst of chaos. The process of practicing higher levels of consciousness requires us to be aware of our thought processes, feelings, aware of our actions and responsible for all of it. As we strive for higher thinking and evolved action we find ourselves dancing with our shadows. The old way rears its head demanding attention but for the old way to die a new way must be practiced. When we become aware of the old way and with perseverance, choose to change, the practice of a new way begins. (This is covered extensively in my book.) With practice, our consciousness will lit upon the new higher thought form. A thought of “all is well or I will make it through this” as opposed to “now what? what will happen to me now?’ One thought form vibrates peace and trust while the other resonates with fear and worry. The next part of any path to the light is to practice positive action. Practice peace in the midst of chaos and change. As an example, if the old way was to avoid the chaos or change through denial of one form or another, the new way might be to journal and meditate upon the truth. For our consciousness to rise up sustainably, we must support it with healthy loving thoughts, feelings and actions. It is a combination of releasing the old and nurturing the new. To master levels of consciousness that are free of denial, guilt, fear and judgment allowing truth and love to flow through us, to us and from us we must practice what we to know to be true. As the truth expands giving more of itself we must be willing to expand with it. This is a journey with no end and the rewards along the way are filled with love, happy surprises and promise. The time is now to end denial, guilt, judgment and fear. When we look around at our world it is clear to see humans have mastered these low levels of consciousness and manifestation. The time is now to rise up and live. The time is now to master higher levels of consciousness manifesting beauty, love, abundance, peace, respect and goodwill. The time is at hand to evolve becoming the beings of love and light reflecting our origin. We can do this. You can do this. Spirit – The Spirit is the light that inspires, and guides. The Spirit is attuned to action and the masculine/yang polarity. The Spirit is the Father God Principle. Will – The Will informs through feelings and selects what feels best. The Will is attuned to intuition, emotion and the feminine /yin polarity. The Will is the Mother Principle. Heart – The heart is where our Divine Mother/Father God dwell. We must open our heart and make room for True Source to express through us. The Heart is where our Spirit and our Will find balance, expanding love and harmony. The Yin/ Yang, feminine/masculine aspects compliment one another manifesting right time, right place and right action. All is Divine. Body – The Spirit and Will are made manifest in the body, without which we would have no earth walk. The human body is the form given to us by our Divine parents and as such is a temple to be loved unconditionally and cared for. 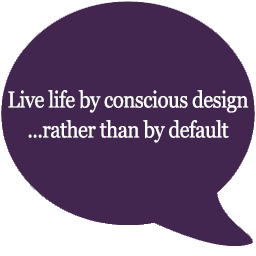 Live life by conscious design rather than by default. Yes you do consciously create your life, there are no exceptions. We are creating our life in some way every day. If you do not like some aspect of your life, you can create something better. Awaken positive change through conscious awareness of your personal power, thought processes and patterns of behavior. Come to know yourself. Discover and experience the freedom you deserve. Accepting all of ourselves is key to our wholeness and our ability to truly love ourselves and others. Forgiveness is the key to freedom and liberation of the soul and the spirit. Faith will not die when questioned or looked into. Faith will not crumble if you explore expanded possibilities. Trust your inner knowing. Allow faith to live within your very being. The truth does not need pressure to gain acceptance. Truth begins with the self. Look within. Kindness is an act of love. Love is the essence of Source. Where there is kindness there is harmony. Where there is harmony there is love. Where there is love there is peace. Be the love that you are. Allow the abundant supply of love to flow through you. Where there is love and understanding there is non-judgment. A wise person knows the difference between discernment and judgment and denial. A mind free of judgment is capable of seeing the light of truth in any given situation. Recognition is key to transformation/healing. Releasing what is in us will set us free. Allowing creative energy to flow through us unimpeded provides a wonderful way to expand our consciousness and discover more about our true nature. Balance is fluid, never static, and is a gateway for trust and faith to grow and flourish within us. When we truly respect ourselves, we will naturally know what it is to respect all others and honor all life. Change is upon us. Are you Ready for Change?